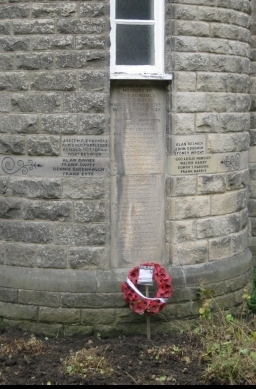 Do you know where this Buxton memorial to WW2 dead is located? The Society has recently been invited by Civic Voice to participate in a project to locate and record the condition of all war memorials in the UK. This is supported by a number of organisations including War Memorial Trust, Historic England and others, as part of the centenary celebrations of the First World War. Funds are available to renovate those in the poorest condition and to establish a definitive record of the memorials. or visit www.warmemorialsonline.org.uk where a video can be viewed and forms downloaded. 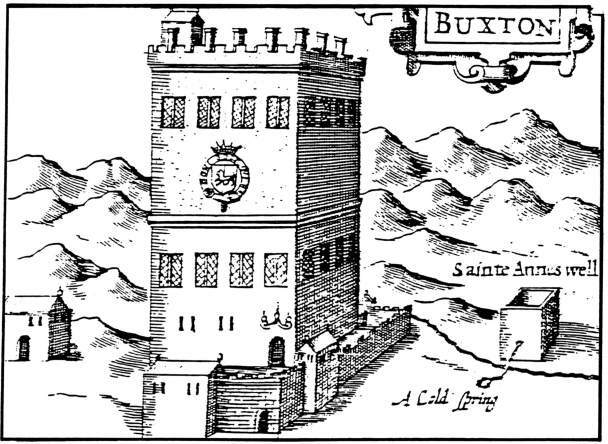 This project was completed with a remarkable tally of memorials in Buxton and its surrounding area. In the town there are twenty-eight individual memorials to men who died in conflicts from the Second Boer War of 1900-2 in the Town Hall to that for Scott Taylor, killed in Afghanistan in 2010. Fairfield actually has more memorials with twenty-nine but this is greatly swelled by having twenty-four family gravestones which have had memorial dedications to soldiers added. Burbage adds eight and Harpur Hill another six. The immediately surrounding villages add more to the total. Brandside has a fine memorial for such a tiny community; Chelmorton has its Memorial Hall. Peak Dale has a monument and garden and the tablets in Holy Trinity Church were removed to St. Margaret’s, Wormhill when the former was closed. Tunstead Quarry has the two boards that some will remember in their offices in Spring Gardens and two new memorials in the form of a tree and a flower, made in 2014 to celebrate the centenary of the First World War. 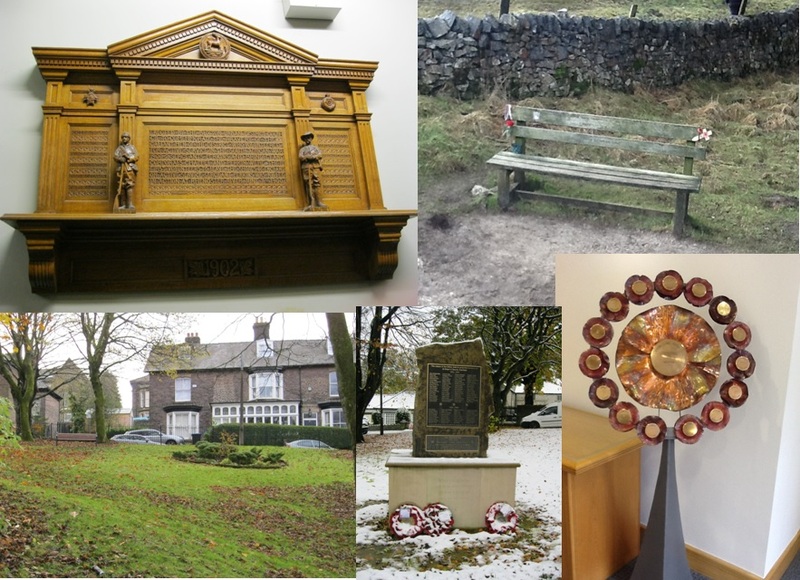 A very few examples: Clockwise from top left: Boer War board in the Town Hall, Scott Taylor seat on Grin Low, Battle of the Somme memorial in Tunstead House, Fairfield Memorial on The Green, Memorial Garden on Hardwick Mount. For me the project has not ended in Buxton. Memorials in most of the villages up to Hayfield and down to Ashbourne have been recorded as well as some in Leicestershire, Suffolk and Sussex. The War Memorial Project is the topic at the Society’s April 2018 meeting.